Description: There is increasing awareness that integrated analysis of human behavior by combining multiple research tools can offer new insights. Technological developments that enable this integration have also found their way in simulator research. Using simulators offers researchers the possibility to adjust variables more easily than in the real world, while test conditions can be fully controlled and kept constant for all participants. In this demonstration we will show two examples of integrated simulator set-ups: one for analyzing driver behavior, the other for studying consumer behavior in shops. Driving simulators provide an excellent way to monitor driver behavior in controlled conditions. Multiple subjects can be tested with precisely the same road and traffic conditions or the effects of varying these conditions on e.g. driver attention can be investigated. Furthermore, in a simulator it is relatively easy to measure detailed information about the drivers’ behavior and performance using eye tracking, physiological data and similar measurements. DriveLab is a new system which integrates a driving simulator, physiological data and 3D eye tracking data to enable advanced analysis of drivers’ behavior because all the data streams are integrated and synchronized. 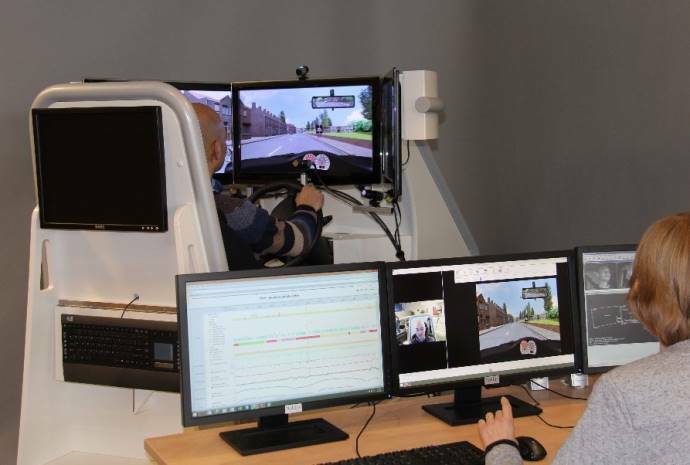 The system has been developed in a cooperative project between Noldus Information Technology (integration and analysis), SmartEye (eye tracking) and GreenDino (driving simulation). It was designed in cooperation with Delft University and the HAN University of Applied Sciences (the Netherlands). The Virtual Shop offers the possibility to test product or packaging concepts that do not exist yet or are difficult (or even impossible) to realize at this moment. This set-up also enables evaluation of different shop layouts in a practical way. In this simulator it is possible to accurately measure the response of shoppers while they move around the shop and select products with different packaging, in different positions, and so on. Also in this example an eye tracker from Smart Eye and simulator from Green Dino have been integrated with The Observer XT (Noldus). This allows enhanced and combined analysis of different data modalities, including physiological data (for example NIRS or EEG) and facial expressions. 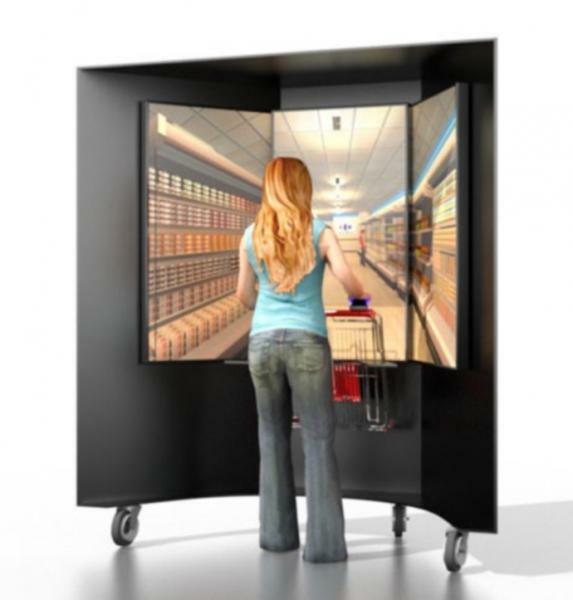 The Virtual Shop was developed within the FOCOM project, which was set up in order to design novel test methods that help us to understand how food and brain influence each other.